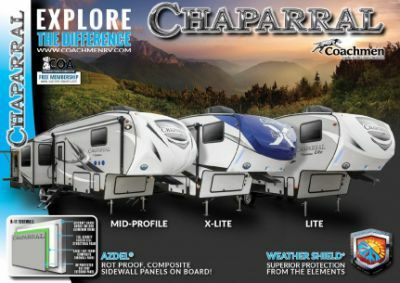 Treat the family to a trip with the 2020 Coachmen Chaparral X-Lite 285X! TerryTown RV offers some of the lowest prices on 5th Wheel RVs, making us one of the best Michigan RV dealerships! If you're going through Grand Rapids, stop by our lot at 7145 Division Ave S Grand Rapids Michigan 49548 to browse through our massive inventory! Call us at 616-455-5590 to learn more! Taking long trips with this RV is easy, with its hitch weight of 1551 lbs. and GVWR of 11000 lbs. Protect yourself from the sun and the elements while you lounge outside with the 11' 0" awning! You don't need to worry about losing sleep on vacation, thanks to the snug Queen bed inside the master bedroom! A family of 6 can sleep comfortably inside! 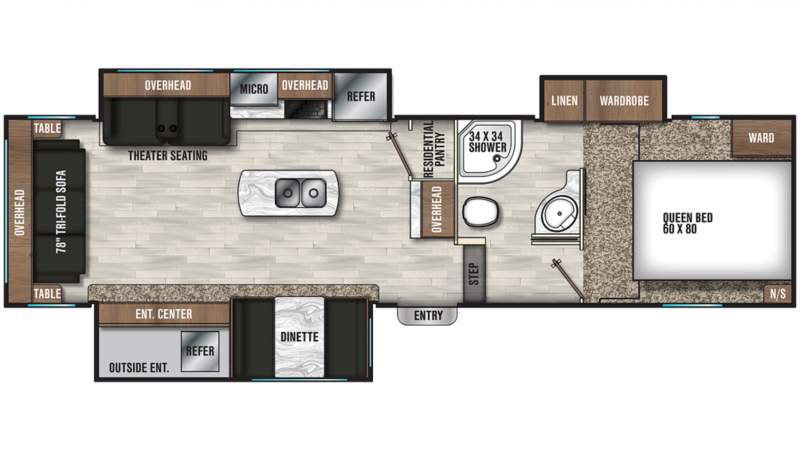 Tasty meals are easy to make in this camper's kitchen, with its 8.00 cu. ft. refrigerator and 3 burner range cooktop! The 40 gallon fresh water tank provides enough fresh, drinkable water for the whole family!